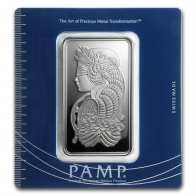 PAMP is one of Switzerland's most renowned precious metals refineries. 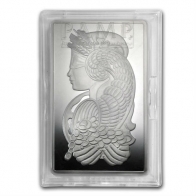 The refinery was the first to introduce an artistic image onto a gold bar with the introduction of their PAMP Fortuna series. 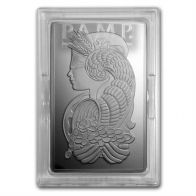 PAMP bars are available in gold, silver, platinum, palladium and rhodium. 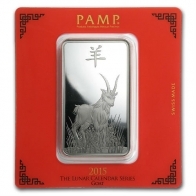 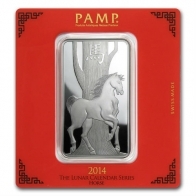 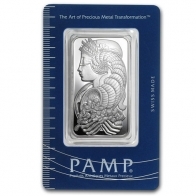 PAMP silver bars are available in sizes up to 1 Kilogram. 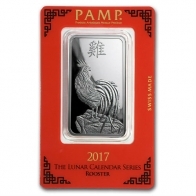 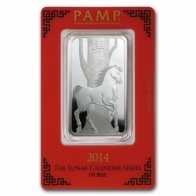 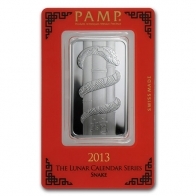 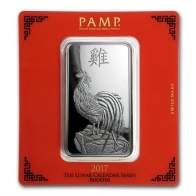 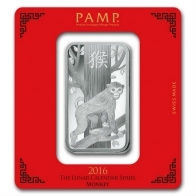 PAMP has a number of different series of silver bars, including the PAMP Fortuna series, the PAMP Lunar Series and the PAMP Faith series. 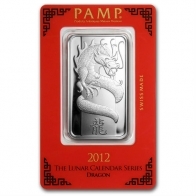 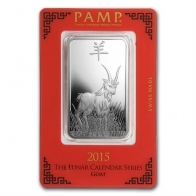 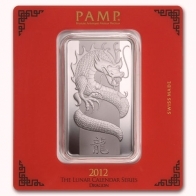 PAMP also sell a cast silver bar. 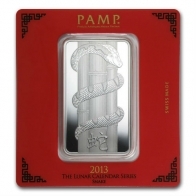 All PAMP silver bars are available for VAT-exempt storage in Switzerland, which is free of charge for up to one year. 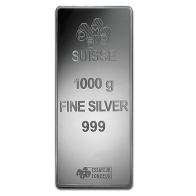 Clients may at any time select to have their items delivered or sell them back at favourable rates.